Hit-and-run collisions between embryonic planets during a critical period in the early history of the Solar System may account for some previously unexplained properties of planets, asteroids, and meteorites, according to researchers at the University of California, Santa Cruz, who described their findings in the January 12 issue of the journal Nature. But when planets collide, they don’t always stick together. About half the time, a planet-sized impactor hitting another planet-sized body will bounce off, and these hit-and-run collisions have drastic consequences for the impactor, said Erik Asphaug, associate professor of Earth sciences at UCSC and first author of the Nature paper. 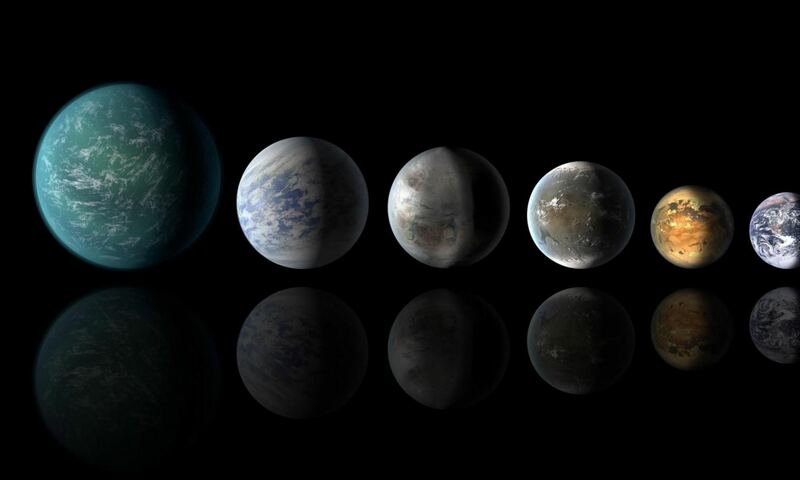 “You end up with planets that leave the scene of the crime looking very different from when they came in–they can lose their atmosphere, crust, even the mantle, or they can be ripped apart into a family of smaller objects,” Asphaug said. The remnants of these disrupted impactors can be found throughout the asteroid belt and among meteorites, which are fragments of other planetary bodies that have landed on Earth, he said. Even the planet Mercury may have been a hit-and-run impactor that had much of its outer layers stripped away, leaving it with a relatively large core and thin crust and mantle, Asphaug said. That scenario remains speculative, however, and requires additional study, he said. Asphaug and postdoctoral researcher Craig Agnor used powerful computers to run simulations of a range of scenarios, from grazing encounters to direct hits between planets of comparable sizes. Coauthor Quentin Williams, professor of Earth sciences at UCSC, analyzed the outcomes of these simulations in terms of their effects on the composition and final state of the remnant objects. The researchers found that even close encounters in which the two objects do not actually collide can severely affect the smaller object. A planet exerts enormous pressure on itself through self-gravity, but the gravitational pull of a larger object passing close by can cause that pressure to drop precipitously. The effects of this depressurization can be explosive, Williams said. The formation of the terrestrial planets is thought to have begun with a phase of gentle accretion within a disk of gas and dust around the Sun. Embryonic planets gobbled up much of the material around them until the inner Solar System hosted around 100 Moon-sized to Mars-sized planets, Asphaug said. Gravitational interactions with each other and with Jupiter then tossed these protoplanets out of their circular orbits, setting off an era of giant impacts that probably lasted 30 to 50 million years, he said. Scientists have used computers to simulate the formation of the terrestrial planets from hundreds of smaller bodies, but most of those simulations have assumed that when planets collide they stick, Asphaug said. It is easy for a planet to attract and accrete a much smaller object than itself. In giant impacts between planet-sized bodies, however, the impactor is comparable in size to the target. In the case of a Mars-size impactor hitting an Earth-size target, the impactor would be one-tenth the mass but fully one-half the diameter of the Earth, Asphaug said. According to Agnor, the whole problem of planet formation is highly complex, and unraveling the role played by hit-and-run fragmenting collisions will require further study. By examining planetary collisions from the perspective of the impactor, however, the UCSC researchers have identified physical mechanisms that can explain many puzzling features of asteroids. One of the puzzles of the asteroid belt is the evidence of widespread global melting of asteroids. Impact heating is inefficient because it deposits heat locally. It is not clear what could turn an asteroid into a big molten blob, but depressurization in a hit-and-run collision might do the trick, Asphaug said. “If the pressure drops by a factor of two, you can go from something that is merely hot to something molten,” he said. Depressurization can also boil off water and release gases, which would explain why many differentiated meteorites tend to be free of water and other volatile substances. These and other processes involved in hit-and-run collisions should be studied in more detail, Asphaug said. “It’s a new mechanism for planetary evolution and asteroid formation, and it suggests a lot of interesting scenarios that warrant further study,” he said.